Above the rooftops of southern Kyoto soars a towering five-storied wooden pagoda. At 55 meters high, it’s the tallest one in Japan. 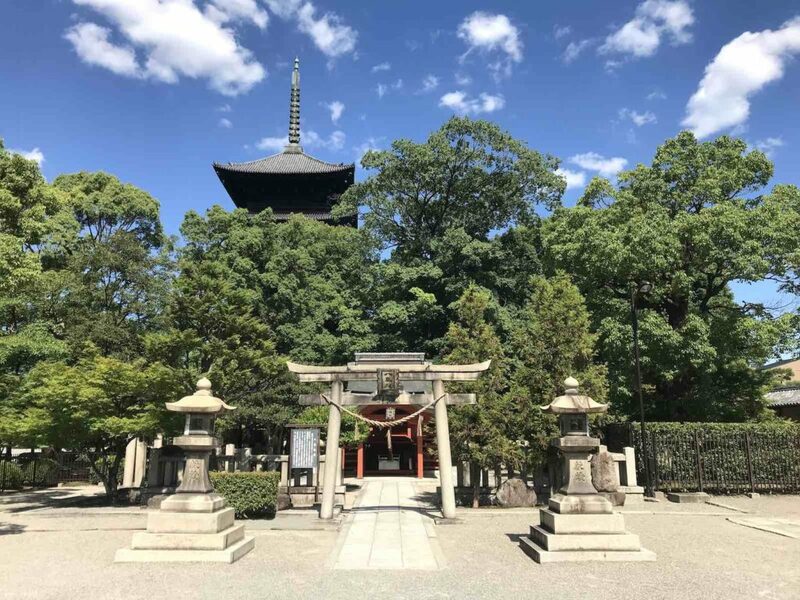 Its iconic silhouette marks the location of Toji Temple — one of the city’s historic guardian temples and host of the modern-day Kobo Ichi flea market. Photo by: Trevor Dobson The towering five-storied pagoda guards over Kyoto. 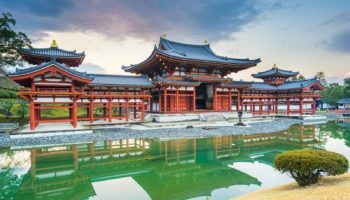 Toji Temple — meaning “East Temple”— dates back to 794 when Japan’s capital moved from Nara to Kyoto. 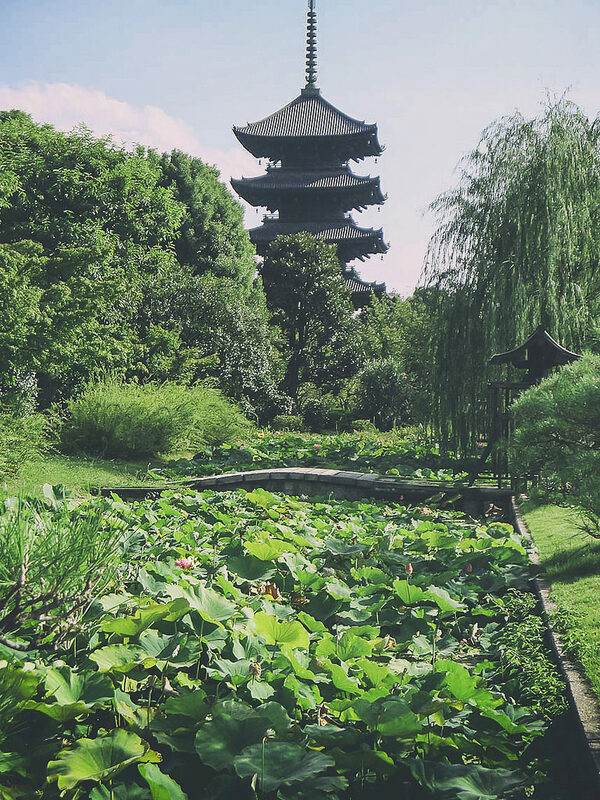 It was built together with its sister temple Saiji at the beginning of the Heian period. The two menacing structures were meant to serve as guardians of the city, with each one being placed on either side of the main entrance. Although Saiji—the West Temple— has been lost to time, Toji stands strong as a relic of Kyoto’s Imperial city days. 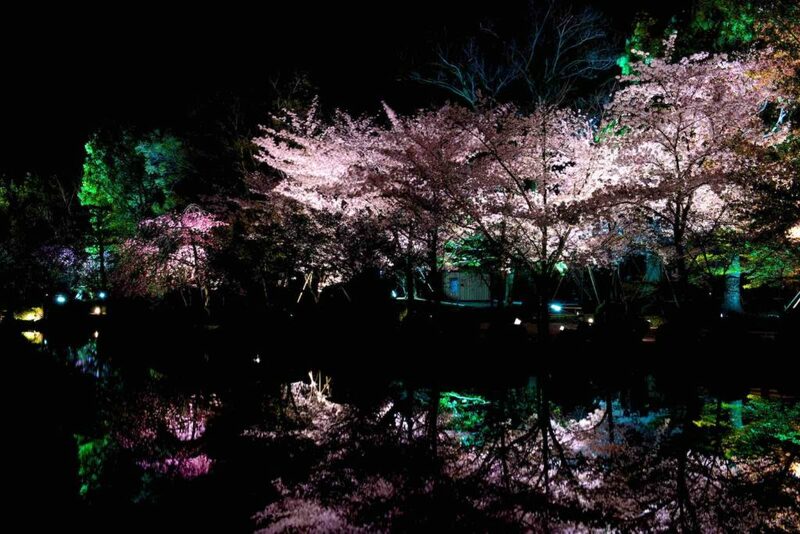 Photo by: Ryosuke Yagi Cherry blossom illumination event at Toji Temple in spring. It’s lit. In 823, Kobo Daishi— the founder of the Shingon sect of Buddhism in Japan— was appointed as Toji’s head priest by Emperor Saga. 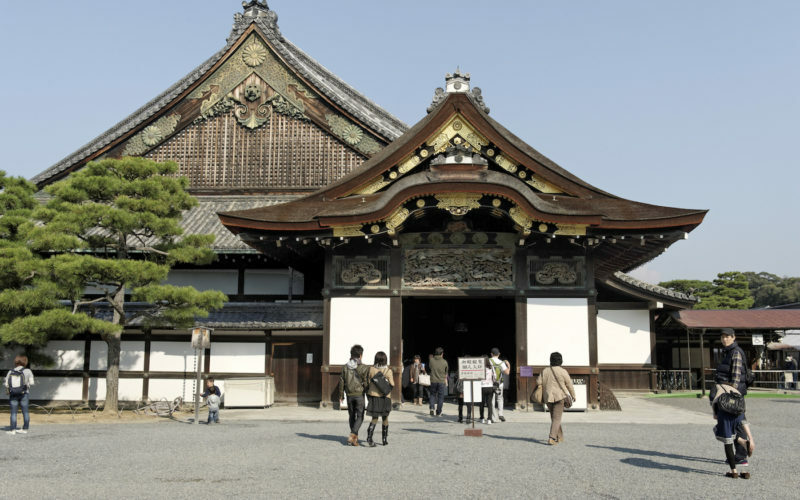 Alongside Koyasan, Toji is one of the country’s most important temples for Shingon Buddhism. Today, it’s also recognized as a UNESCO World Heritage Site. The Kondo, or Main Hall, is the temple’s largest building. Inside stands a gilded statue of Yakushi Nyorai—the Buddha of Medicine — who is said to heal sickness of both the body and the soul. The two smaller statues surrounding him are his attendants, Nikko Bosatsu (Bodhisattva of Sunlight) and Gakko Bosatsu (Bodhisattva of Moonlight). Photo by: Ashley Owen Toji Temple is one of Japan’s most important temples for Shingon Buddhism. 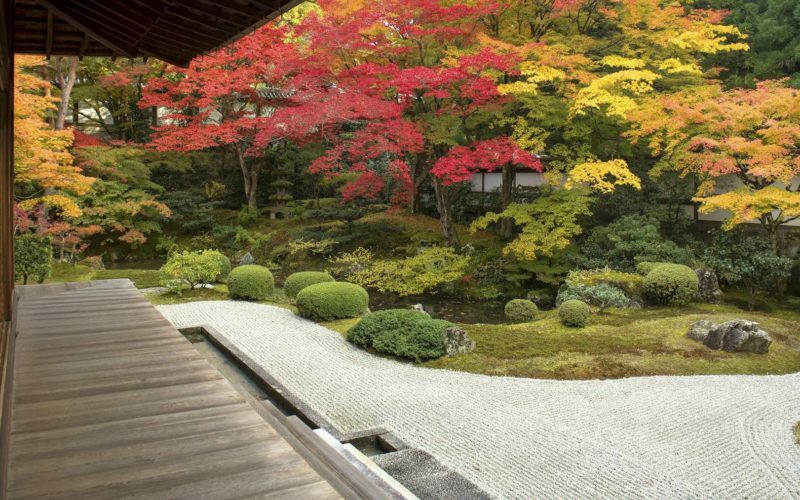 Beyond the Kondo lies the Kodo Lecture Hall, which houses an impressive collection of Buddhist statues. 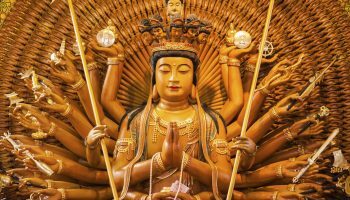 Inside there are 21 Buddhist statues positioned to form a three-dimensional mandala around the central figure of Dainichi Nyorai—the supreme deity of Esoteric Buddhism. Historians will revel at the variety of depictions here which even includes the Ten Deva Guardians of Buddha. Outside of the paid temple area is Miedo Hall— Kobo Daishi’s former residence. Every morning at 6 a.m., a service is held here which is open to anyone to participate in. Also of note is Homotsukan Museum, Toji’s Treasure Hall, which displays a rotating selection of the temple’s vast artifacts twice a year. One of the temple’s most popular and unique attractions is the Kobo-Ichi Market, held on the 21st of every month. 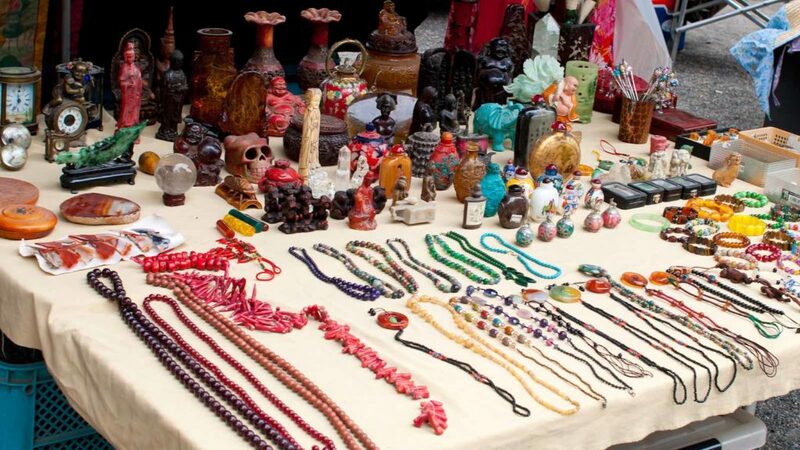 This massive market transforms the temple grounds into a colorful, bustling bazaar full of people jostling for bargains. Photo by: peter-rabbit Flea market goodies. The variety of new and second-hand goods on offer is astounding. Everything from clothes and calligraphy to pottery and plants are up for grabs. You’ll also find a great selection of food stands to keep you fueled as you shop! The juxtaposition of the lively stalls next to the peaceful temple buildings is really interesting, and it’s the perfect place to experience a quintessentially Japanese market. 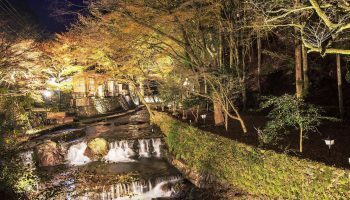 Entry to the temple grounds, the market, Miedo Hall and Jikido Hall is free all year round. The Kobo-Ichi Market is open from early morning until 4:30 p.m. on the 21st of every month. Opening hours vary with the season: March 20-April 17: 8:30 a.m.-4:30 p.m.; April 18-September 19: 8:30 a.m.-5 p.m.; and September 20-March 19: 8:30 a.m.-4 p.m. 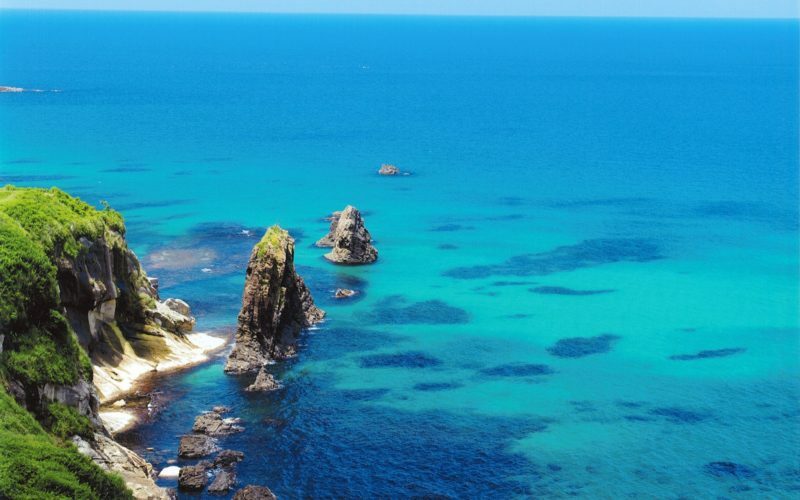 The cost of admission varies from ¥500 to ¥800 depending on when you visit. This is because the cost sometimes includes entry to additional temple buildings, such as the ground level of the pagoda. 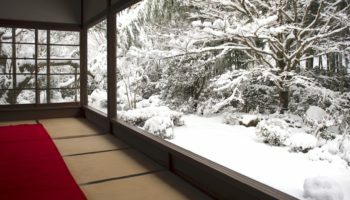 However, the general admission which allows you to enter the Kondo, Kodo Hall and to view the five-storied pagoda from the outside costs ¥500. Discounted tickets are available for children and high school students. 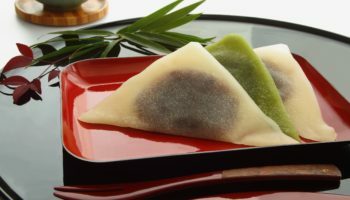 Homotsukan Museum is only open from the end of March to the end of May, and again from the end of September to the end of November. Tickets cost ¥500 (¥300 for children). The nearest station is Toji station, on the Kintetsu Kyoto line. From here, walk west for about five minutes along Kuji Dori to reach the temple. Alternatively, you can reach the temple from Kyoto station on foot in approximately 15 minutes.